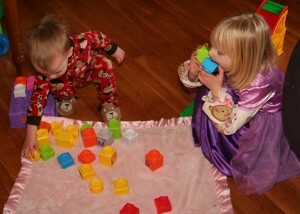 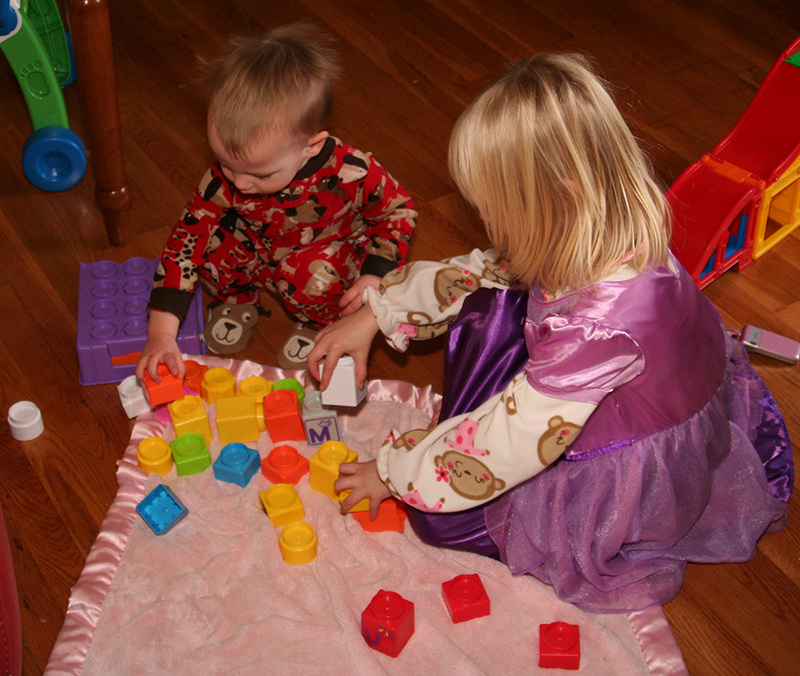 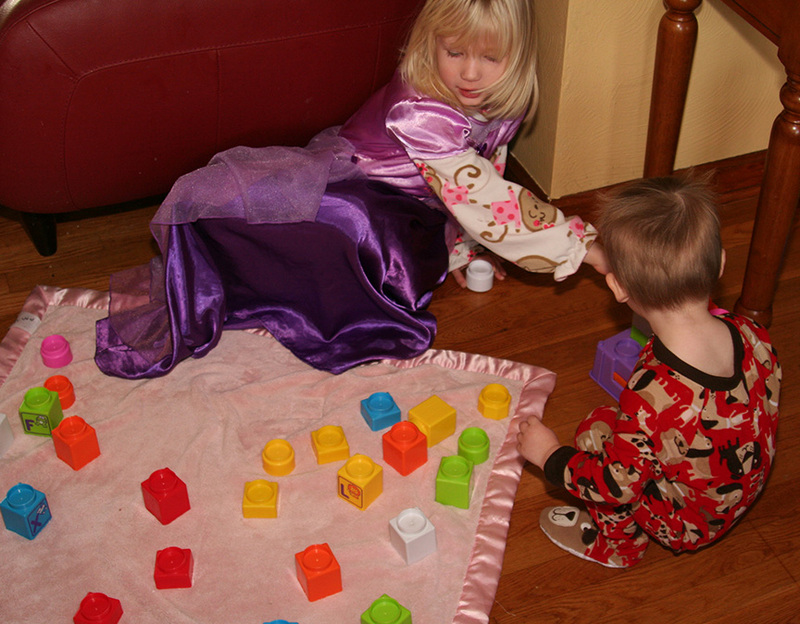 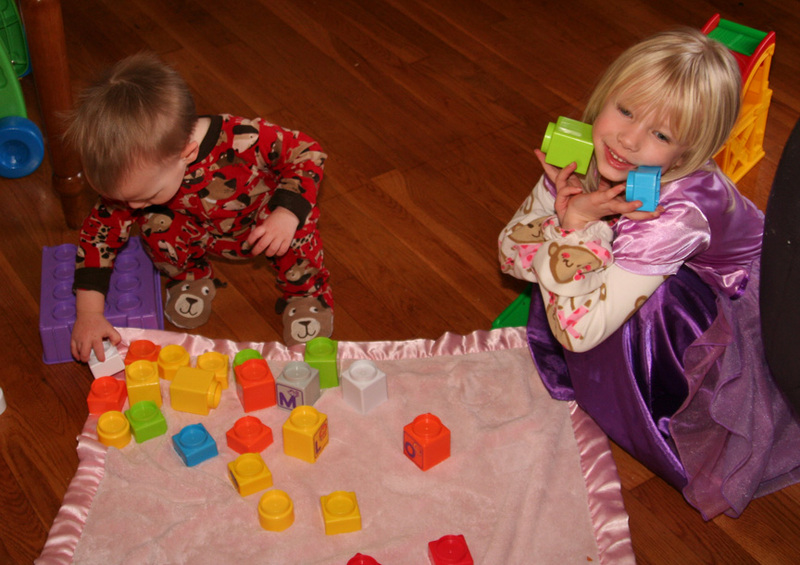 When you have a big sister, building towers with blocks can easily transform to something completely different. 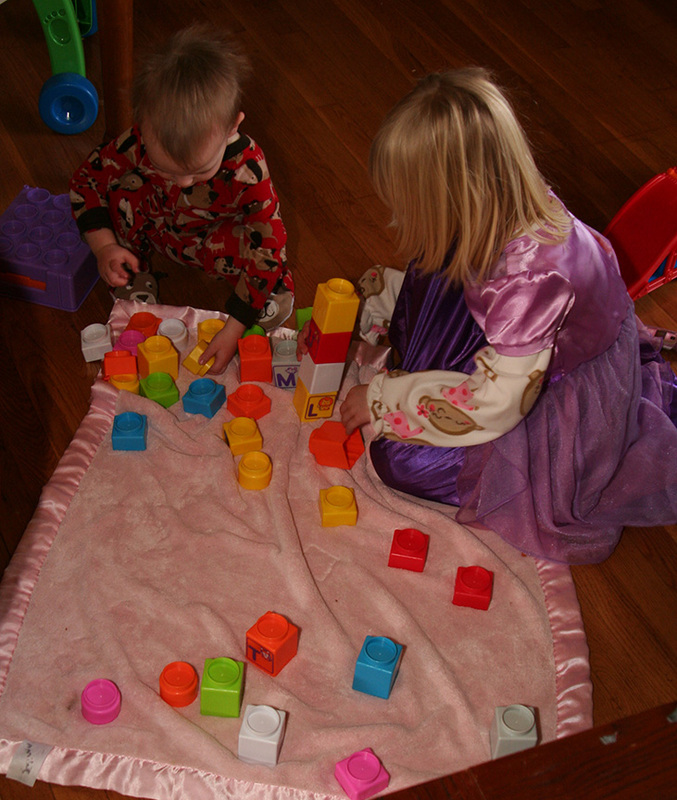 Suddenly the building surface is a soft pink blanket. Why a blanket? 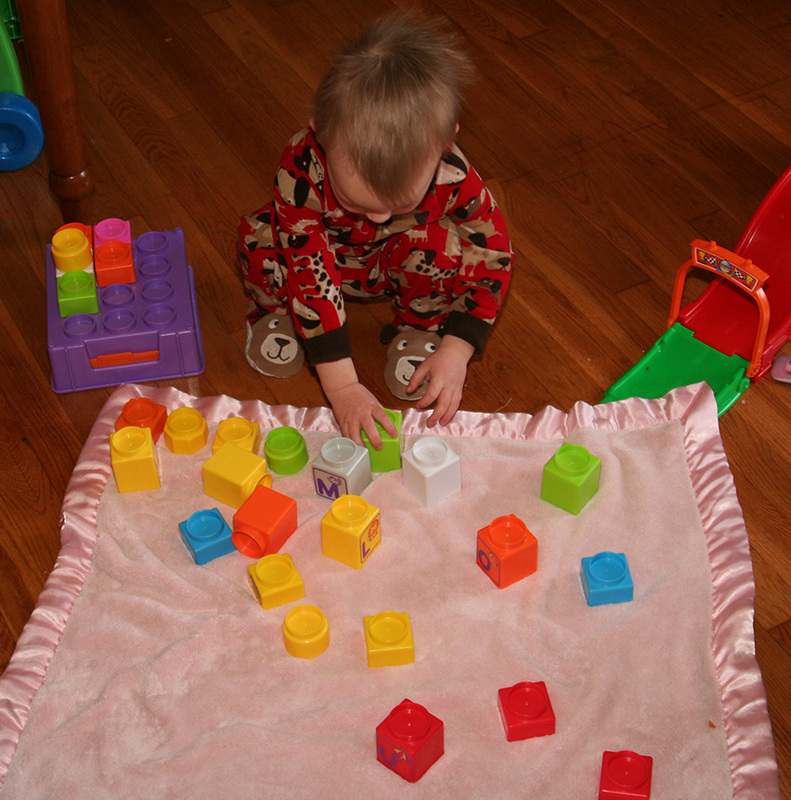 Because building time has changed to picnic time and the blocks are now tea cups.